Prints from the Saphire collection will be on public view in Christie’s Rockefeller galleries from 13 - 17 April. In addition, works on paper from his collection will be sold in the Impressionist & Modern Works on Paper sale on 14 May and in the Picasso Ceramics online auction. 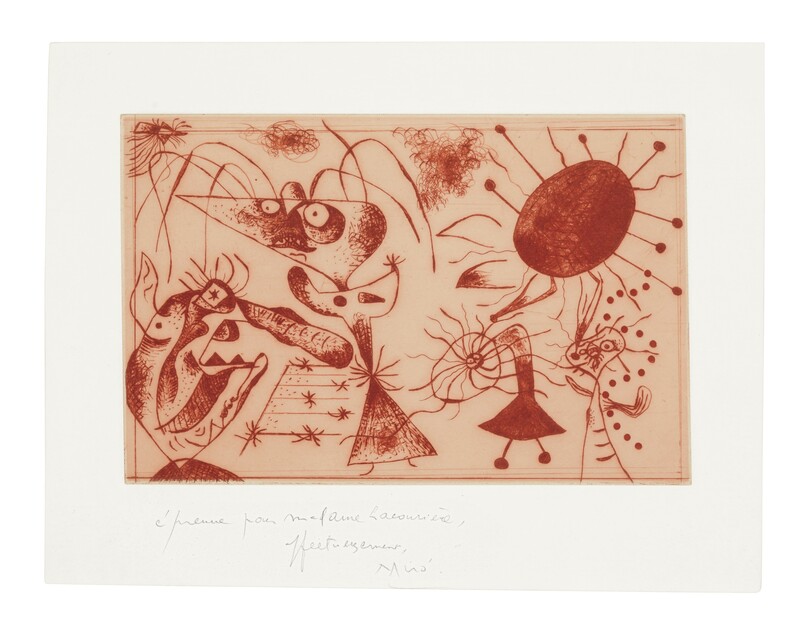 Highlights from the collection include Tête de jeune fille, an etching from 1924 by Salvador Dalí that is thought to be the only surviving example ($30-50,000), a plate from Joan Miró’s Série noire et rouge, an etching in red from 1938 ($20-30,000) and a hand colored work by Roberto Matta Par la bait-naître ($2-3,000). 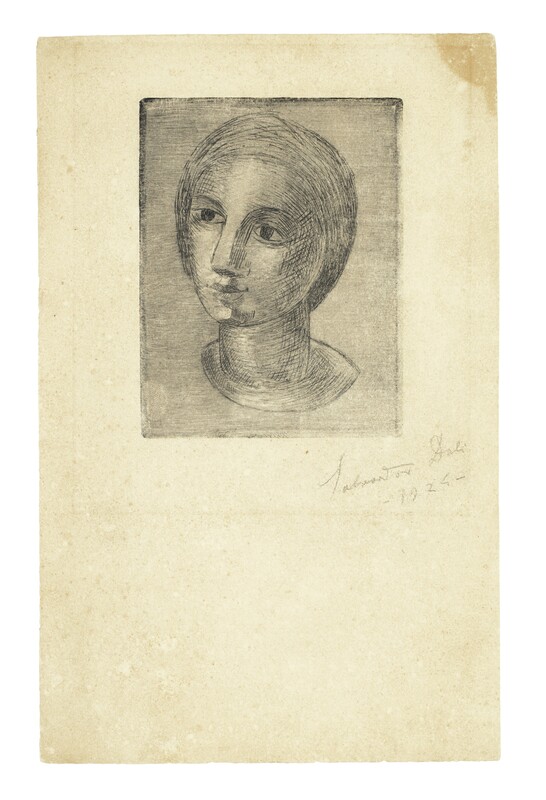 Two highlights from the collection that will be offered in May are Fernand Léger’s Femme à la feuille ($18-25,000) and André Masson’s Le Philosophe ($15-20,000).